A “GerMexican Beer Garden”. I bet you’ve never seen one of them before. Fortunately, Nestor and I got to experience it at “Taco Brat”, in the always exciting city of Costa Mesa. The two of us love trying new foods, flavors, and fads. 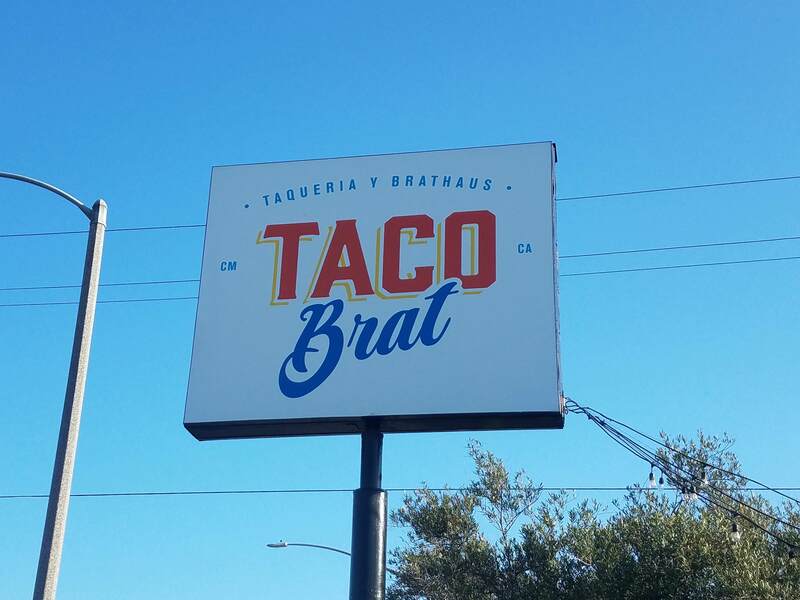 Lucky for us, Taco Brat is the first German-Mexican fusion restaurant in Orange County. The relatively new oasis of culinary experimentation opened in June of 2017, so we had been itching to try it out for a while. Executive Chef, Thomas Curran, formerly of Umami Burger and California Pizza Kitchen, spearheads the operation. He studied at Le Cordon Bleu, and he is the mastermind behind their unconventional menu. When we walked in, their ambiance was noteworthy. The music was at the right volume: Loud, but not overbearing. The staff was awesome as well. The workers were like the cool guys from a barber shop; They sported tattoos, big beards, and inviting personalities. Interesting people make a great experience. And, if interesting people make a great experience, then an interesting menu does too. When you grasp the menu and scan across the page, you’ll find intriguing options such as “GerMexican Nachos”, “Bratwurst Burritos”, and “Al Pastor Sausage”. Not every option on the menu is a fusion, but it did take my brain a few moments to process seeing German Pretzels next to Chips and Guacamole on a menu. My favorite was the Bratwurst taco. Holy Moly. You start with a freshly warmed, house-made tortilla. Then, they pile on homemade bratwurst, fresh cut jalapenos, charred pineapple, diced onions, aromatic cilantro, some salt, and savory queso fresco. Then, you pour however much salsa you like across the top. Plus, they shower you with endless tater tots and chips. How cool is that? There's also a drink menu with a large beer and wine selection. A smorgasbord of German and Mexican beers are available, but the cocktail menu is the real looker. They don’t sell hard liquor. Instead, they use “Tequesta”, which is essential tequila with a lower alcohol content. You don’t get robbed of your buzz though, since all their cocktails get a double shot. 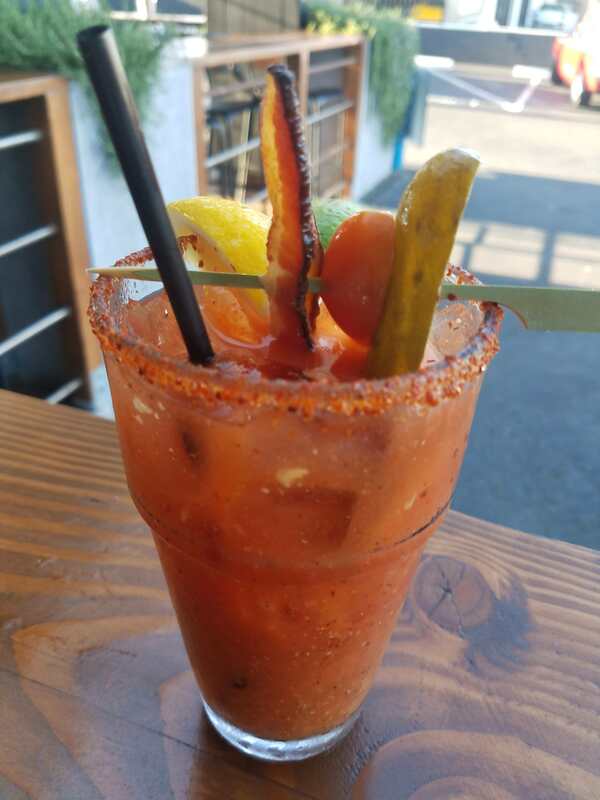 I ordered their Bloody Mary. It did carry the flavor of tequila, true to Taco Brat’s claims. The drink was a first-rate pairing for the food I ordered as well. Taco Brat is one of my favorite recent food adventures. Orange County is a melting pot of so many people and cultures. That being said, it's also one of the most unique, and THAT is an accomplishment. There are so many great reasons to live in Orange County. 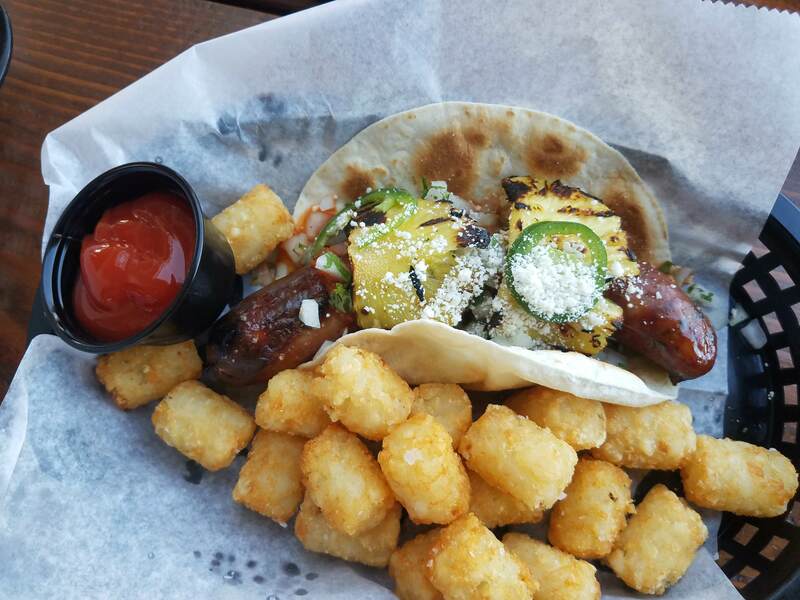 Taco Brat is one more reason that food and drink in Orange County is unlike anywhere else. 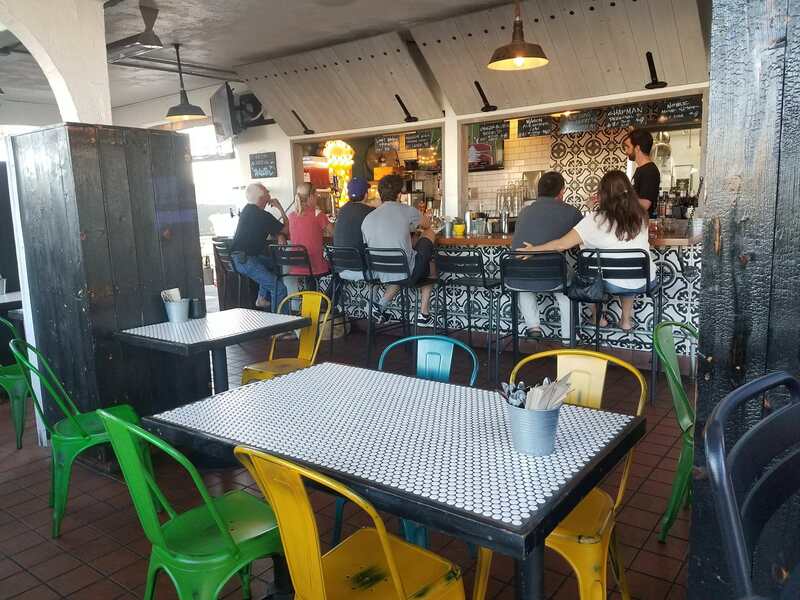 I can't wait to try the next place soon, and when I do, we'll taco 'bout it.